Babbling Brooke: Snow Day Pretzels!! It is snowing here in MD! In March! This is pretty exciting!! Many MD schools and offices closed for the weather, so it's a fun snow day here. Even Justin was home! 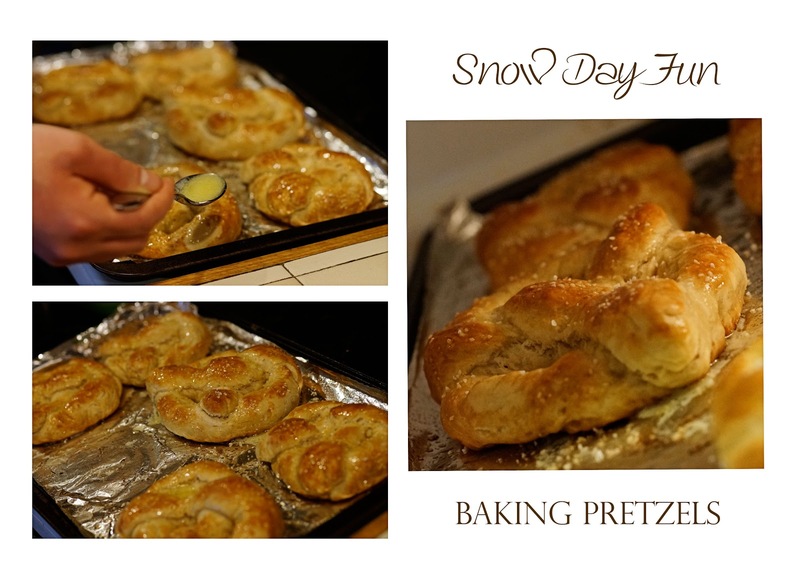 So we made homemade pretzels (with lots of buttery goodness!!) and drank hot chocolate by the fire (well, pellet stove!). Aren't snow days the best?? She is SO not thrilled about this snow. Normally she loves the snow, but this snow is SO thick and heavy that is feels like rain. I put my rain bag over my camera and it was drenched after five minutes outside! But how CUTE is she in that infinity scarf?? I hope there's snow in Malaysia so that I could do what you did. Yum. That's a fluffy pretzel. Snow Day suddenly doesn't feel so bad.